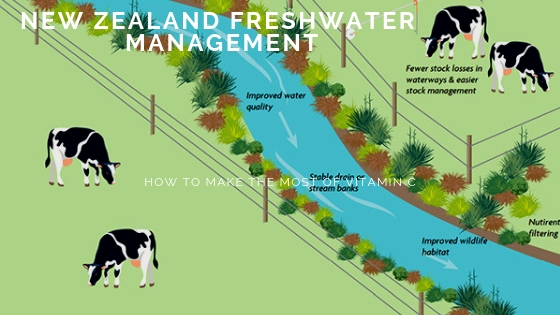 New Zealand has undertaken a number of approaches to help maintain and where necessary enhance its freshwater streams and rivers. These approaches include both regulatory and non-regulatory methods. This work recognises that many of our freshwater systems are in a degraded condition and few are of the pristine quality that New Zealand aspires to. In terms of regulatory methods, in 2014 the Government introduced the National Policy Statement for Freshwater Management (Freshwater NPS). This provides direction on how local authorities should carry out their responsibilities under the Resource Management Act 1991 for managing fresh water. This year the Government announced that it has given itself until 2020 to create new rules to stop the "degradation of fresh water", promising a noticeable improvement in water quality in five years. The new rules and standards will be developed by three working groups, one focusing on Maori perspective and interests, as well as a Freshwater Leaders Group and a Science and Technical Advisory Group. A new National Policy Statement for Freshwater Management and a new National Environment Standard will be developed. As part of the non-regulatory approach, in 2003 the The Dairying and Clean Streams Accord was agreed between Fonterra, the Minister for the Environment, the Minister of Agriculture, and regional authorities. The Accord reflects a non-legally binding commitment by these parties to improve the environmental performance of dairying, and has a goal of achieving “clean healthy water in dairying areas”. The parties to the Accord agreed to work together to develop practical solutions to protect and enhance water quality in dairying areas, with a number of objectives and national targets. This year the Government also announced a plan to help farmers and growers reduce their impact on freshwater through good farming practices. This has been jointly developed by primary sector representatives, Regional Councils, the Ministries of Environment and Primary Industries. The Good Farming Practice: Action Plan for Water Quality 2018 commits to supporting all farmers and growers and accelerate the uptake of good farming practices for improving water quality, to measure and demonstrate this uptake, to assess the impact and benefit of those farming practices, and to communicate progress to the wider public.